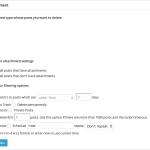 This addon adds the ability to delete posts based on whether the post has attachment or not. 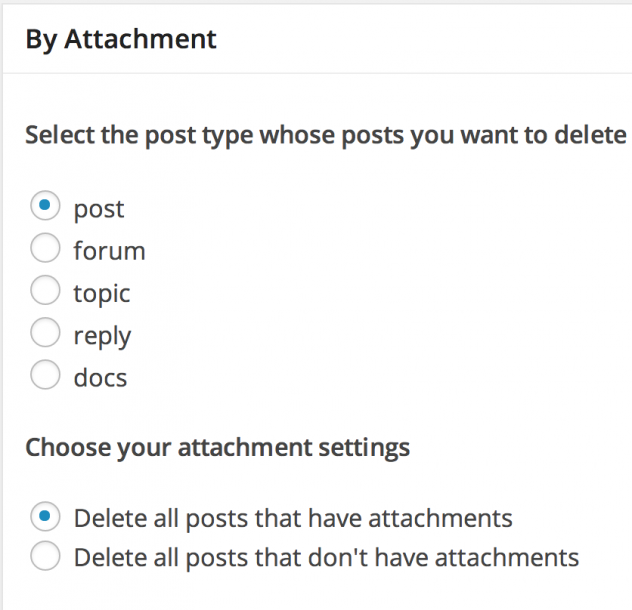 You can delete posts based on the following options. This addon only provides the ability to delete posts based on attachment. 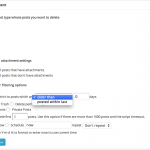 If you want to schedule deletion of posts automatically, then you would need the “Scheduler for Deleting Posts by Attachment” addon. Fixed a warning that was happening in some cases. Made some UI tweaks and enhancements.